Sometimes women just click; like really click. This is exactly the vibe I felt after a recent interview with fellow BlackGlamourMom and Niche Tees Designer Camille Binder. Camille, also known as Cindafreknrella on the gram, not only has a serious fashion game, but also possesses THAT juice that will have you straight celebrating all that #blackmommymagic that we as black moms are pushing out into the universe. 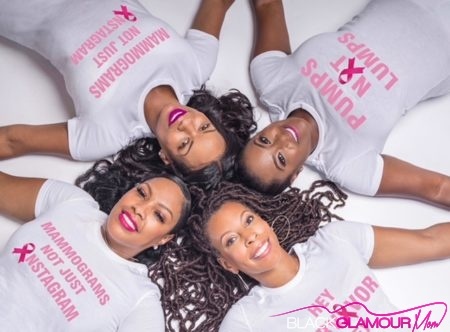 During our chat, we talked her Niche Tees Collection Her MajesTee, Breast Cancer within the African American community, the importance of our tribe whether battling or standing as a soldier with someone who is fighting the disease, balancing motherhood with business, owning the royalty that exists within each of us, and of course, style. I mean, really, did you not think this conversation was going to go the Louboutin or YSL route? Talk to me about your brand, Her MajesTee. Her MajesTee is a bit of a long story. I was married in 2013 and had the most glamorous, fairy tale wedding that you could imagine having. My wedding fell right in line with the princess mentality that I had been living by my entire life. I actually came up with the sayings tied to the collection back in 2014. Having worked for luxury brands, I knew that I had the ability to start and market my own brand. I’m an avid Tee-shirt wearer and I knew that I wanted to stick with the Royal concept. It doesn’t matter if it’s a vintage tee or a formal ball skirt. You can own your royal in whatever it is you’re wearing. I really played off of where I was in my marriage. Your happily ever after starts with you. Seeing Megan Markle really lit the fire under me. It’s really about the new royal. It’s not royal in the traditional sense, it’s how you see yourself. It’s not the Disney sense of what a princess is anymore. We are often taught that, but the reality is once that falls apart, it has to be innately in you. 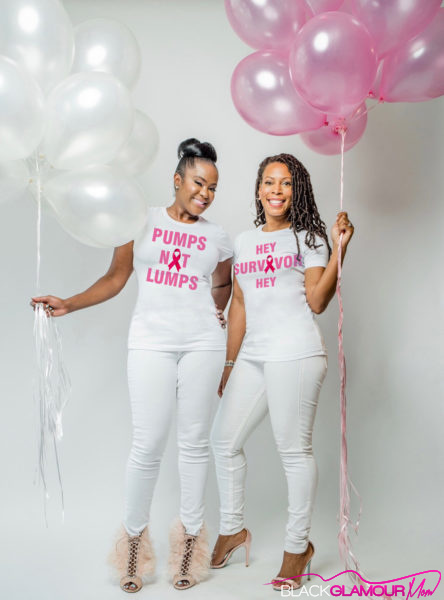 For your recent Breast Cancer Awareness Collection, you opted to focus on the village, those individuals who help support the people that are going through Breast Cancer. Why did you decide to focus on this side of the fight? I’m a daughter of a survivor, my mother is eight years cancer-free and she wasn’t supposed to survive it based on her stage. When I watched her going through the process, I watched her battle it with her seven sisters and me, but not so much with my father. What I found is that the men in these women’s lives don’t know how to help or support them and so as women we naturally gravitate to other women and so this is how I started with the idea. I wanted to talk about the people who were there to listen. The people who can hold your hand when your hair is falling out. The new saying is, “Hey Girl, Hey.” What Can I do to support you through this. The support system is just so important in the fight. Having people to hold your hand when you receive bad news and through your doctor’s appointments, I wanted to highlight those women. What is your favorite quote on your Tee’s? I personally love the “Glass Slipper” Tee! My favorite says, “Get A Mammagram Sis.” It’s really simple. I really wanted to have something that was fitting for the culture and in a language that we actually use now in order to truly resonate. It’s really serious and direct. 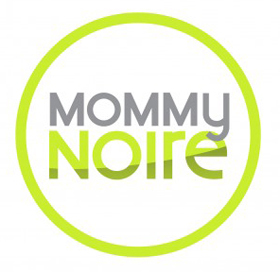 How do you balance being a mom and building your own brand? I approach it the same way that I had to when I was working to market other people’s products. It’s just a matter of prioritizing what’s important for my family and having honest dialogue with my son about life, bills and responsibilities. And I admit, I have an incredible support system that helps me. I have a 25 and a 17-year-old. It’s just about prioritizing and having God in our lives. At this stage I’m working while my son is in school, but I also get my children involved. It’s all-hands on deck. He is also very helpful and insightful and wants to see the business thrive. If you could give one piece of #glammommy advice, what would it be? I think it’s important to remember that even though we love all of the designer, all of the glam, that’s it’s also important to remember that it’s not always about the stuff. Sometimes as moms, we often get caught up in thinking that it’s about the stuff. It’s about enjoying some of the nice things, of course. However, I’ve learned that some of the stuff we have to put on the back burner and we have to create experiences. We have to travel more and show our kids how other cultures live. It’s so easy for kids to also get caught up in the “stuff,” with social media. With my second child I was really able to see how I overcompensated with the stuff. It’s about being there and being present. Saint Laurent, Alice and Olivia and then Louboutin and YSL are my two favorite shoe designers. Coconut Oil from Trader Joe’s! I’m old school with it. I use it on everything from my hands to my hair. I also love my Apricot Scrub. In a few words, describe your mommy style. To keep up with Camille or to purchase one of the Tee’s from the Her MajesTee Collection, Click Here. And, get this: A portion of the proceeds from the Breast Cancer Awareness Collection go to benefit The Pink Frog Foundation and the Thriving and Surviving Foundation, two Atlanta-Based organizations.